BETTER AT MAKING MONEY THAN MAKING WEBSITES ? - so why are you building websites? LEARN TO BUILD WEBSITES OR BUILD YOUR BUSINESS ? In business there are always choices. Often they are about where to spend time or money to the most profitable effect. In our business: online business, internet marketing one of the most challenging issues for small businesses is getting websites rolled out. It can have an effect even upon the type of business we run. Many, many people are better at making money than at making websites. I make automated websites that work. But in order to get the best from the search engines and from your human visitors these days I recommend you add your own voice and personality and we make that easy too! What Goes Into Your New Niche Website? Your site is built using WordPress, still the most versatile and popular way to build human and search engine friendly websites. Get your readers clicking on your affiliate links with a pre-sell article written just for your site! Your site will be set up and installed with the best plugins to make your site work as well as possible. Attract reader attention and engagement with our attractive front page image slider set up with high quality images. Your site will be monetised with your affiliate links embedded into banners, text links, and ad boxes throughout the site. Get your new site off to a flying start with 7 unique articles, each around 700 words in length, designed to interest your site visitors. On page SEO will be set up ready for you – if you choose – nothing extra needs to be done. Even the very important job of tagging your articles is done automatically for you. Earn money automatically with affiliate links automatically embedded into articles, banners and ad boxes across your site. Your site will always look fresh and new on any size screen with our fully responsive premium theme. Your site secured against hackers and thieves using a custom configured security toolbox. Protect yourself against legal problems and keep that search engine love with customised legal pages configured for your business. We will add up to 20 of your own articles to the site for you. Site visitors will love the collection of royalty free stock images that we will install on your site to use in posts, thumbnails, sliders etc. Keep your site fresh and interesting with fresh, unique, content every day for at least six months. How Will You Make Money With These Automated Sites? 1.Clickbank: Each site will carry banners for relevant Clickbank products. In addition relevant keywords in your site will automatically be linked to relevant and popular Clickbank offers – text links are reckoned to be the most powerful way of linking prospects to sales. 2.Amazon: These guys pay up to 8.5% per sale and the ticket prices can get pretty high. Each site will carry an Amazon widget embedded with your affiliate code that features top Amazon products relevant to your site visitors. In addition you will be able to easily add links to relevant Amazon offerings within your blog posts. Every site will carry Adsense tools even if they are not activated so you can change your mind later, if you choose. Of course you can add new revenue sources whenever you choose and modify the ones we install for you - it is your site! I knew you’d want to know what these sites look like, so here’s an example. The site you get will look similar but will each differ slightly in layout, photographs, colour schemes and, of course the content will be very different. There couldn't be anything else could there? FREE WordPress training: We will set you up with a complete WordPress video training course that will give you confidence to run your new WordPress sites. Link Building Campaign: We will run an link building campaign for you during your first month. Starting you off with a network of links that can serve you well for months and maybe years to come. Search Engine Indexing Campaign: To top it all off, as we add content to your site each day we use a reputable indexing service to make sure that search engines know about new articles – you certainly will not be invisible! I don't think there's an offer anything like this anywhere on the internet – I did some looking. I wanted to bring this service in at a price that was economic to those wanting to build a network of sites and those just starting out. This meant that charging $250 or more, as others are doing for anything remotely like this, was not on the cards. Here's the deal. We are going to make this offer with a price of just $120 for the sites from our list of nearly 150 niches. 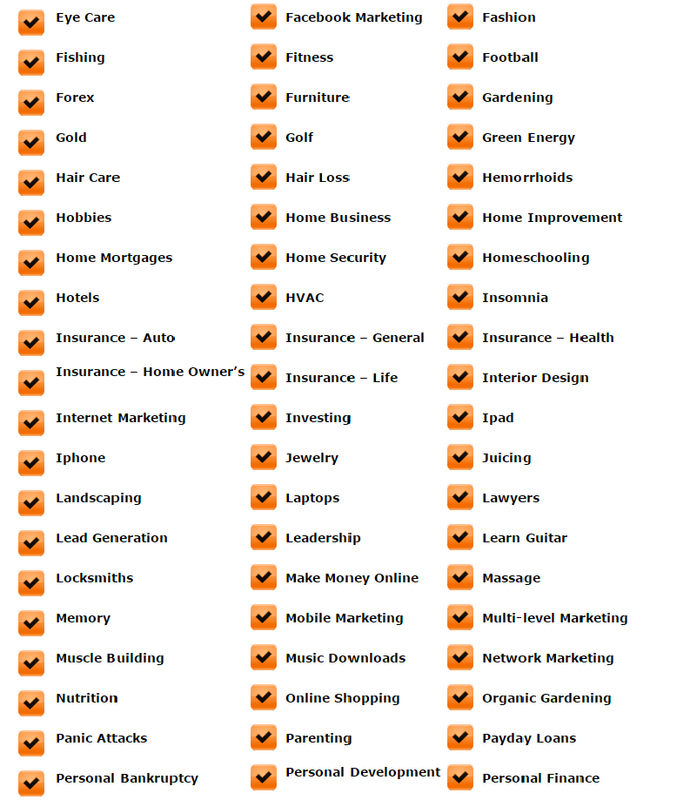 If you want a niche site building then just check out the list below, think about the site(s) you’d like to build and click the ‘Order Now’ button. You can tell me the niche(s) you want, we will exchange some info and get to work. In less than a week we will have your new site installed and running. Re: Built For You: Automated Niche Content Websites With Article Builder Inside! So far I have ordered 17 of these sites from Andrew with the main intention to build a blog network for seo. These are affordable, google friendly (100% or as far as I can tell) pages indexed, finished (no work for me apart from creating a cpanel login) sites and Andrew is a wealth of knowledge. I've seen similar services between $99 and $179 and their samples, although look pretty, don't come near the functionality that Andrew's site offer. I give a big thumbs up to these sites and can recommend them strongly. I do not believe I have ever received more value from something I purchased on the internet than I have from you Andrew. You did a simply fantastic job all around for my site, and there is literally no question I will be ordering again. In fact I am scouring the niches now for idea #2. Just one week live and already have my first few Amazon commissions piping through. Good quality Always wins in business, and you sir know how to deliver. Just a quick thank you for delivering the best value for money website I have ever bought on the internet. I have bought more than 10 'built for you' websites on Warrior Forum from 5 different designers and non have been supplied with the quality articles, plugins, complete design and speed you have produced. I have added some of my plugins and keywords, but I don't have to do anything else but promote the website. That is truly a first for me. Non of the others on the net is offering what you are and the price is great! Thank you Sir. I got my first site from Andrew, it is simply superb and very professionally done. When i opened the site, i couldn't believe it. Had to check the url again to make sure. Thanks Andrew for brilliant job. Looking forward to working with you on more of these. Yep - The first week and it made money. Not much money but did make money. I have to confess that I cheated and bought an old domain with a little PR and a little traffic off http://www.expireddomains.net. Whether you build the traffic or buy the traffic, you still need traffic. BTW Andrew, you did a great job on the site and you have my order for the next one. 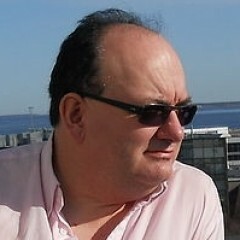 HI Andrew,Although I bought the site from you a couple of weeks ago, I have only just started watching the videos. I have to say that the videos alone are worth the purchase price, even without having got a complete site up and running and monetised. Thanks very much. I am going to be busy watching videos for a while now! This service was a great find for me, and for those of you who have real jobs, or even full-time marketers, I think the $47 - $57 is one of the best bargains I've seen in a long time. All that was required of me was to give him access to my cPanel (you already need to have purchased a domain and hosting). From there, he took care of everything else and the site was delivered in a few days. Just got my site and I am pretty pleased with it to say the least! You were very fast at creating it after I gave you all the info and there is tons of stuff on there now. I have tried creating Word Press sites before but mostly gave up with the amount of work required and I was never able to monetise them. Thanks for the website. It is a great tool for getting you started. I would recommend you to anyone. Also, communication has been good and all questions were answered promptly. Thank you Andrew Wilson. Outstanding response time and answers everything asked. The website was built for me within days of sending of the relevant details. There was a lot of content included and the clickbank and amazon affiliates links were all up and running. I have not watched all the tutorials but the ones I have watched so far have been really helpful. Your business and compliments are gratefully received. A couple of people have asked about why I need cPanel access. The answer is that without it we can not install the database for the WordPress installation. I have been asked whether these sites can run completely automatically. The answer is that yes they can BUT I'd expect the revenue to be significantly lower. These sites are designed to make it easier to build and run your own sites filled with interesting content. But YES. You CAN leave them on 'autopilot' especially if you need a few days for vacation. Another point has come up. 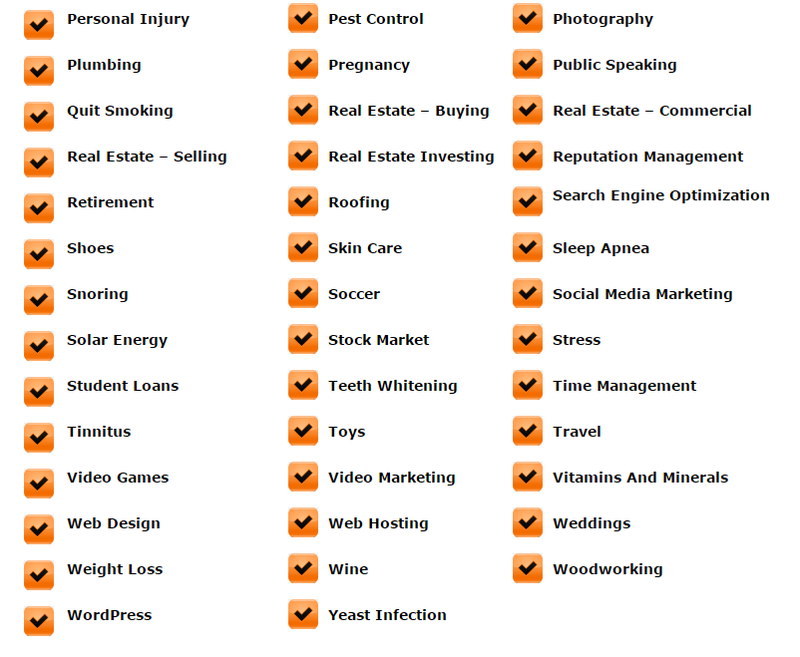 I have been asked about how much money these sites can make - I can give no claims because the site does not make money. The traffic that you drive to the site makes money. The sites come with great tools to help - unique content, banners, text links, fresh daily content but without traffic this is for nothing. Build good quality relevant traffic and the money will come. Don't forget these are your websites. Please check the settings and make sure they suit your needs and update them to suit. This is of particular importance to the legal pages. I set up the Legal Pages plugin with generally applicable settings, as I see the need. Webmasters need to ensure the settings meet their own needs. Is each suggested website above only available for one purchaser or could more than one person buy the same website? Each niche can be supplied many times and each site will be different. The unique content will be different, the other material will often be different, the appearance of the sites will vary according to colour, layout etc. These are not cookie cutter sites. A few more questions, please. If I have a blog on the free Wordpress that is only getting a few hits, can I transfer that url across and use that please? Or would I be better starting out afresh with you and just linking to my other blog? I don't want to lose the stuff on that blog, so would transferring that blog across to you wipe out the other postings? I have already purchased a new domain name anyway. Built For You: Automated Niche Content Websites With Article Builder Inside! Our these sites on our hosting sites or yours? Are all of the affiliate links ours or are we sharing them? What is the expected SLO to get one of these up and running? One more question, are we able to add our own plugins and ads to these sites? Meg: If you transfer from free WP on wordpress.com then you will lose the posts unless you do 'stuff'' to avoid it. As we need to set up custom permalinks then even if you moved your posts over to a new host and kept the same domain, I think the URLs would change and so any backlinks would be lost. Maybe one could use a redirect plugin to cover that change... So, in theory you could do it. In practice, not a good idea. Fitness4Life: Sites are always yours and on your hosting. If you don't have hosting I'd recommend Hostgator's shared hosting as a starter. Good question about the links! The affiliate links are yours, but the service that provides some of the linking and banners is set up on their free level and as usual are shared. I'd not suggest you change that until you are earning money, but it is the best service of its type that I have seen. (I have tried LOADS of different ways to do this - you will not do better!) You could use the linking plugin that I supply to replace the link functions but you'd have to be on top of the keywords, frankly it is more work than you need to do. Same goes for the banners - you could do it, but it ain't worth it. Turnaround time, assuming that I have all the info required to hand should be less than a week after I have all the information I need. If we get really busy that might get increased, but I set that level because it works. Yes, absolutely you can add your own plugins and ads. You will have ad management tools provided. I am looking at offering an ongoing management service and that would likely have an impact on the plugins issue (we can't support what we can't control) but the sites are yours to do with as you wish, plugins, themes, ads, content. What I have tried to do is provide a framework that works, that will save hours, weeks, months of research, learning and practice and will save time and therefore money even for experienced folks as compared to working from scratch. When we used to offer a similar service some clients would immediately add stuff to the sites we made but it was cheaper and faster for them to start off with a fully working site, filled with content and tested and then spend ten minutes adding their favourite tools than to start from scratch. The link for your premium clickbank site is not working. They both show for the $47 site. Thanks for letting me know fitness4life that seems to be OK now! In case of any problems here is the webpage on my own site and it is just fine. Hmmm no discount to the JLForum members? That page IS for JLForum members! See the URL? The page was where I built the sales page before transferring it to bbcode and this forum. Nobody else can buy this offer, not anywhere! This is a special offer for visitors to the JL Forum only. You can't even get to the link above from my own websites! Andrew, this is probably a newbie mistake, but I was expecting to give you access to FTP and admin access to the WP site. I was not expecting you to need full access to the CPanel, can you expand on why you need full access? I need access to cPanel for two main reasons. I gave you wrong info in my email reply, sorry! I use an external tool to help with the setups. It puts all the bits in place for me. It works with cPanel to do its work. Even if I did the job externally I'd still need to get in to install the database. The time saving that this gives me enables a pretty low cost for what is a lot of work. The only alternative is for you to do the blog setup but that kinda defeats the object and it'd still take longer to do the job. Sorry I gave you a bad answer on the email - I should have stopped working, it is very late here. Please excuse me!